Automakers historically have been loath to approve the sale of dealerships to investors from outside the industry, particularly to untested private equity groups with short-term financial horizons. But some automakers insist they are willing to take a chance on outside investors — provided they have a long-term focus and tap people with substantial dealership operation experience. Domestic-brand automakers are most receptive to outsiders, according to buyers and dealer advisers. But even the automakers considered to be resistant to newcomers say they are listening. Toyota earlier this year approved the acquisition of Van Tuyl Group’s 12 Toyota stores by Warren Buffett’s Berkshire Hathaway Inc. Lentz noted that former owner Larry Van Tuyl remains in place, operating the same business model. Toyota also approved the sale this spring of a dealership in Santa Fe, N.M., to RFJ Auto Partners Inc., a fast-growing new dealership group backed by private equity. Toyota is considered one of the toughest approvals for outside investors to get. If an outsider wants in, Haig suggests buying a group of dealerships containing mostly domestic and the specific import brands known to be amenable to untested buyers. Because Nissan wants its dealers highly focused on its brand, it could be more open to an outsider willing to buy several of its stores, Haig added. Both General Motors and Ford Motor Co. executives say they’re OK with outsiders buying their stores. Batey expects the number of buy-sell deals for GM stores to heat up because Berkshire Hathaway’s entry sparked interest from outside investors. “There are a lot of people who want to get in, and there are a lot of people who are making really good returns and believe in where we are and see a lot of upside,” Batey said. Ford is open to any investors who share its business principles, said Joe Hinrichs, Ford’s president of the Americas. Ford continues to have a “great relationship” with what is now Berkshire Hathaway Automotive, Hinrichs said. Fiat Chrysler Automobiles treats outside investors “like any other potential buyer,” spokesman Ralph Kisiel said via email. “We evaluate them on criteria that includes performance of their existing stores, their current management, proper facilities, and necessary capital.” FCA has approved buyers with little or no dealership experience. The best example of the openness in Detroit may be RFJ, which formed in February 2014 with the backing of Jordan Co., a New York private equity firm. It now owns 24 dealerships consisting mostly of domestic brands. In addition to the Santa Fe Toyota store, RFJ also was approved to buy a Honda store earlier this year. RFJ President Rick Ford says automaker approval is “still the greatest hurdle” to building the company. It’s why RFJ started off seeking domestic-brand stores, as Ford figured those automakers would be more open to a private equity-backed buyer. He didn’t want to risk an early rejection. 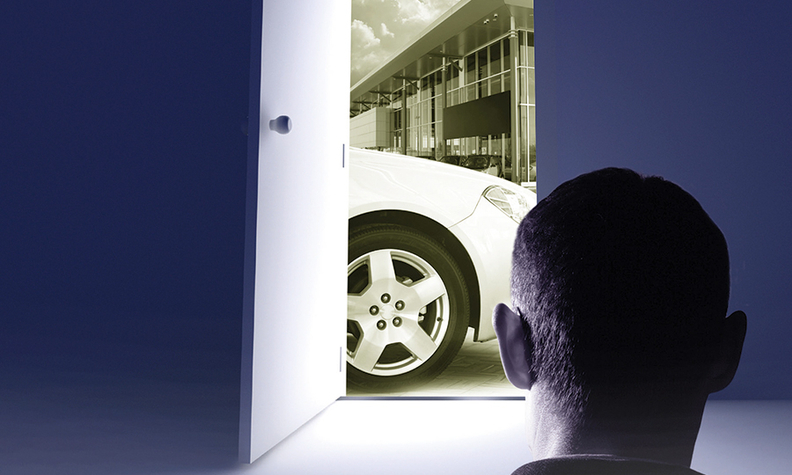 RFJ intends to pursue luxury dealerships, including the German brands, beginning in 2016. While luxury brands are more selective, they have approved some outsiders. Berkshire Hathaway has three Mercedes-Benz, two BMW and two Lexus stores, plus one Audi store. Some of those brands have blessed other outsiders as well, such as the luxury Carousel Motor Group in the Minneapolis area, owned by the Pohlad family. Steve Cannon, CEO of Mercedes-Benz USA, said the interest from Buffett validates the strength of automotive retail. Nick Bunkley, Mike Colias, Diana T. Kurylko and Ursula Zerilli contributed to this report.